Round 1 of Small Towns Big Ideas demonstrated the huge potential for local communities to mobilise around exciting, ambitious and creative projects. Over 50 such projects across Galway city and county were awarded funding in the first round of Small Towns Big Ideas and these projects have been busy bringing their ideas to life as we prepare for our title year in 2020. For a full list of Round 1 Small Towns Big Ideas projects see the Galway 2020 website. Galway 2020 is now seeking Expressions of Interest from communities who wish to develop a project for Round 2 of the Small Towns Big Ideas programme. Applications to Small Towns Big Ideas are invited from community and voluntary organisations, cultural organisations, heritage groups, festival bodies, artist collectives, schools, sports bodies, and other such groups. The application process opens on 2 April and the deadline for submission of Expressions of Interest is 10 May. Ambition– projects that are ambitious in imagination and scale and are new or different from the current cultural offering in local communities. Creativity– projects that have at their core all or any artforms or aspects of culture including dance, film, literature, music, theatre, visual arts, traditional arts, circus, street art and spectacle, architecture, language, heritage, food, sports and more. CommunityInvolvement – projects should demonstrate broad community involvement through direct engagement with different groups and organisations and we are particularly keen to see the involvement of schools in Round 2 projects. European Dimension– projects should relate to our place in the wider European and international context and highlight our shared history and contemporary connections. Galway 2020 Themes– projects should seek to relate and respond to the core themes of Galway 2020 which are Landscape, Language and Migration. Projects can respond to one, two, or all three themes, and broad and creative interpretation of these themes is encouraged. The application window for Small Towns Big Ideas Round 2 opens on 2 April and closes at 5pm on 10 May. The application process involves the submission of a completed Expression of Interest application form either through the Galway 2020 website or by printing and completing the form and returning it to Galway 2020. During the application window Galway 2020 will be available to answer any queries that potential applicants may have. Queries can be submitted via email to smalltownsbigideas@galway2020.ie or you can phone Liz or Nollaig on 091 412450. The extent to which proposalsmeet the objectives outlined on the previous page. Proven expertise andexperience of the creative / cultural practitioners engaged with the applicant group. Budget feasibility – budgets must be realistic and proposed activities deliverable within budget. While match funding is not a requisite forapplicants we will welcome proposals that have secured some match funding. Shortlisting of applications will be carried out by an expert panel made up of Galway 2020 cultural producers and external advisors. We aim to have the shortlisting process completed by the end of May 2019. During the application window and the shortlisting process Galway 2020 may seek to bring together applicants with similar or complementary proposals to explore opportunities for collaboration. The amount awarded to any one project will typically be between €3,000 and €15,000, with €15,000 being the maximum amount that can be applied for. The quantity and value of awards will depend on available funding, number of applicants and the quality of applications. We will also consider geographical spread and scheduling throughout the calendar year. Applicant bodies must be a legal entity with their own bank account and tax clearance certification. Shortlisted projects will be required to provide evidence of appropriate insurances and also to indemnify Galway 2020. Shortlisted projects will be required to adhere to Galway 2020’s Communications and Branding Guidelines. Shortlisted projects will be required to adhere to Galway 2020’s policies in the area of accessibility, diversity and inclusion to ensure that project events and activities are as inclusive and accessible as possible. All projects supported under Round 2 of Small Towns Big Ideas must be fully completed by 31 January 2021. 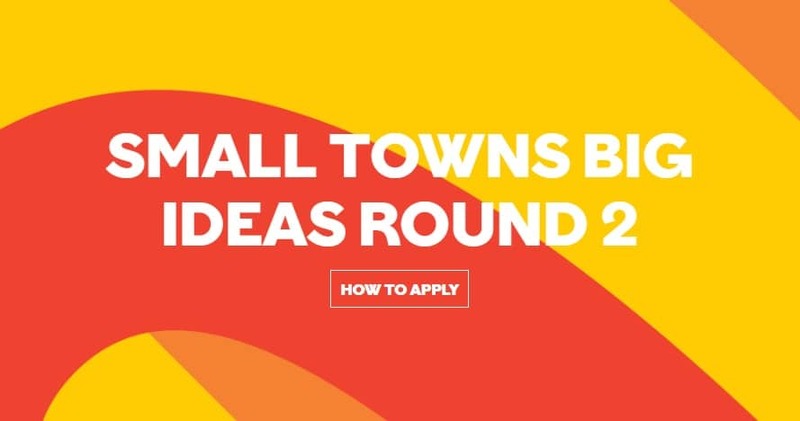 The application window for Small Towns Big Ideas Round 2 opens on 2 April 2019 and closes at 5pm 10 May 2019. Late or incomplete applications will not be accepted under any circumstances.